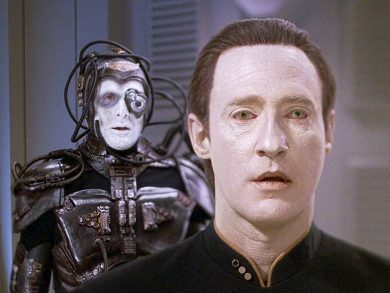 The Borg are acting weird, but they are not the only ones. Their erratic behavior may have rubbed off on Data. He’s showing anger and, seemingly, enjoying it. When the Enterprise pursues the Borg, they find Hugh’s individuality has set them up to be brainwashed by a charismatic figurehead… Lore. Descent and Descent Part II go into this week’s Mission Log.